Recently, I spent a few hours after dark at Sabino Canyon with my friends Steve Kessel and Rene Clark. 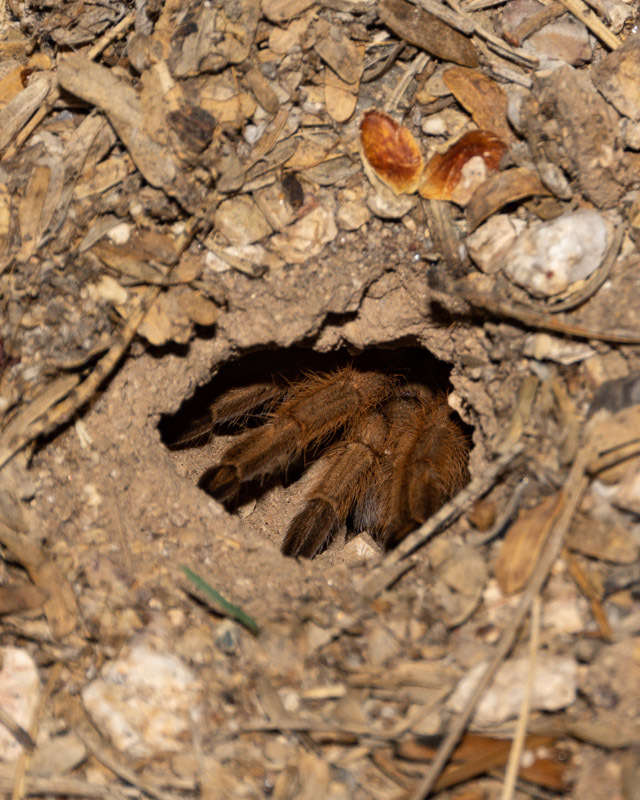 Once the summer rains begin, you never know what kinds of critters you will run across at Sabino Canyon or anywhere in the Foothills. Excuse me! We interrupted this foraging mouse in one of the bathrooms. 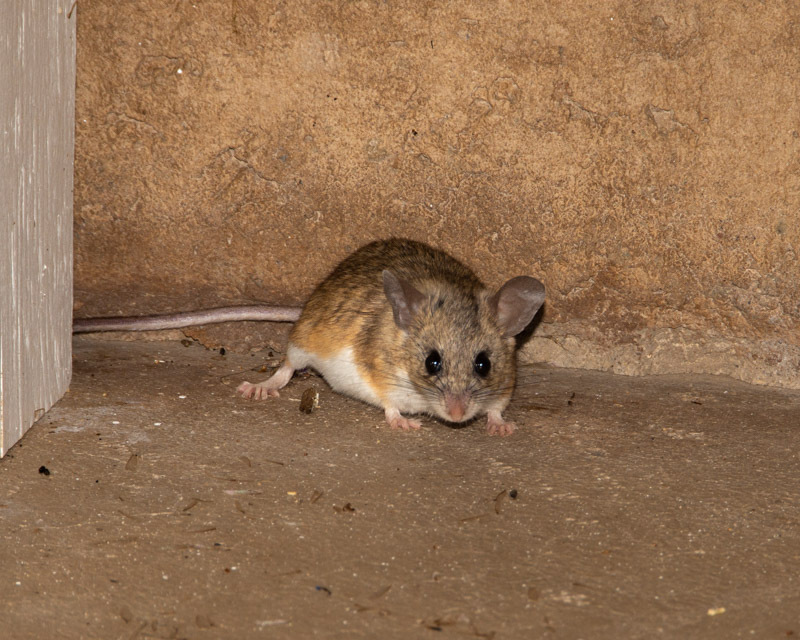 Looking at its cinnamon color and white belly, it might be a cactus deer mouse, a smaller version of a pack rat. 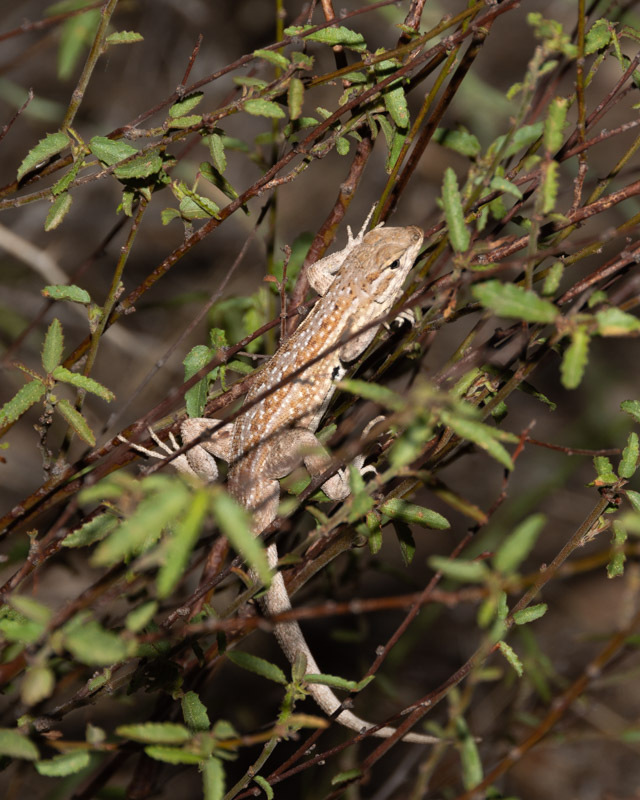 A side-blotched lizard was snoozing in this twig hammock alongside the road. As a very tasty item on the food chain, it might just want to use a resting spot off of the ground and a bit further away from predators. 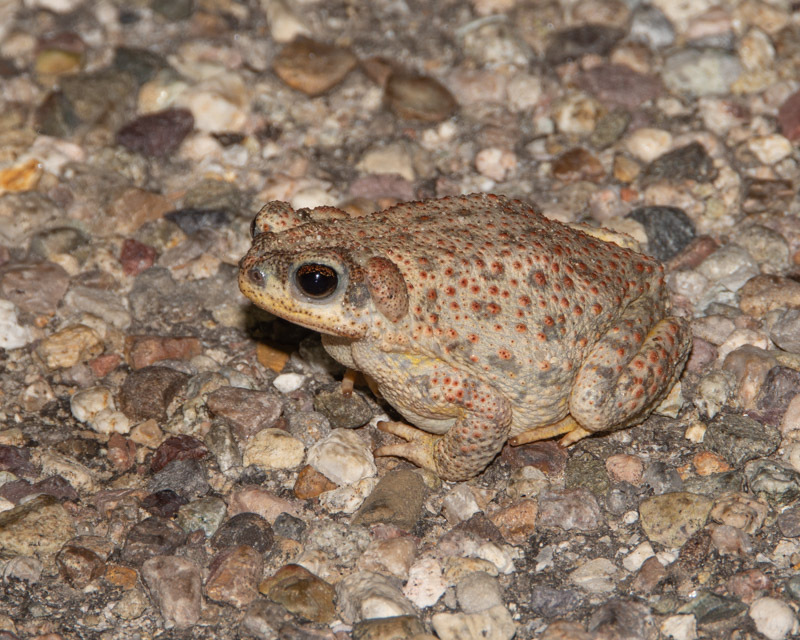 One of the common toads in this desert area during monsoon season is the Red Spotted Toad. Red Spotted Toads spend most of their lives dormant and underground, waiting for the rains to come. Once the rains begin, they dig their way to the surface and begin their seasonal search for mates. These toads range up to three inches long and get their name from their red spots. The spotting is variable, as you can see by comparing the following toads. Working on the next generation. 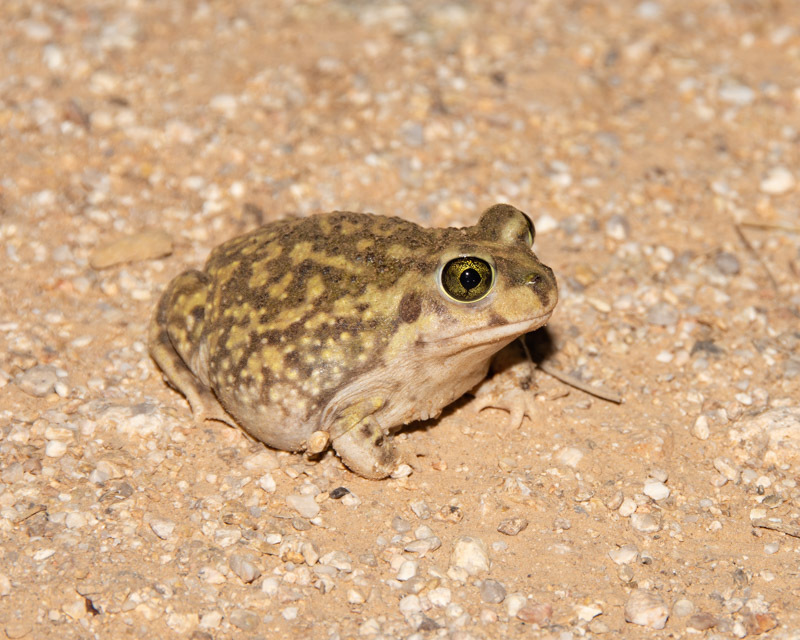 Another of the common toads in our desert is the Couch’s Spadefoot Toad, named after a spade-like tool at the base of each hind foot (not visible in this photo). 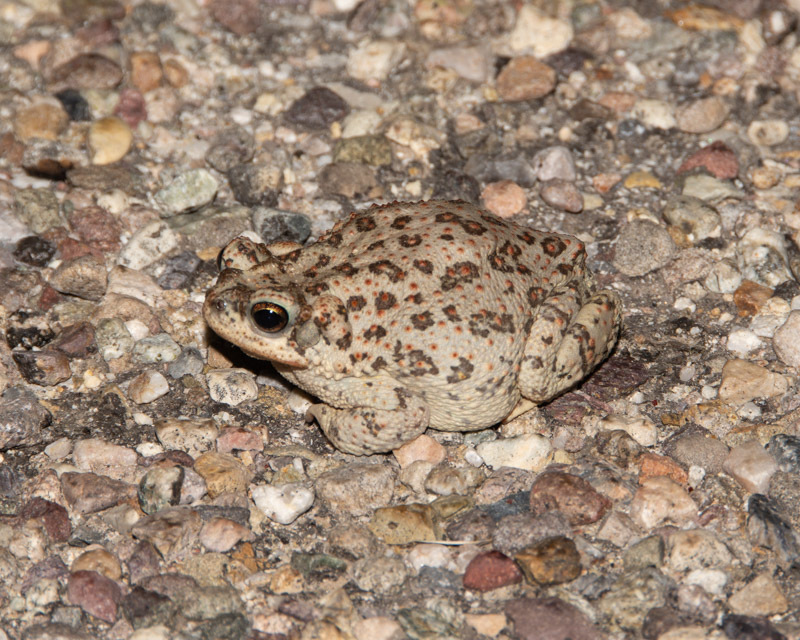 This squat toad is a yellowish green color with a splotchy back and a white belly. Although I didn’t hear it that night, they are known for their loud sheep-like calls. 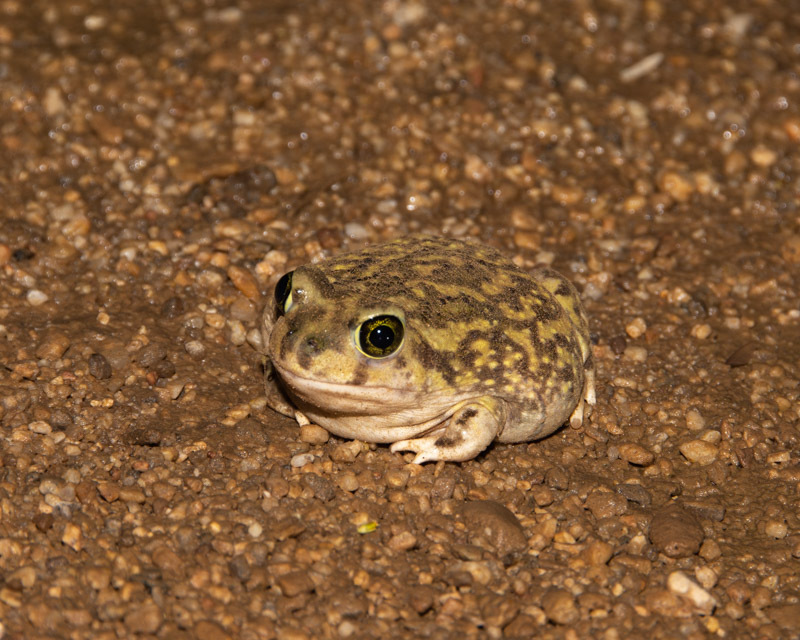 The Couch’s Spadefoot Toad has large, beautiful eyes. This is also the season for Tarantulas. This one retreated quickly when it sensed we were nearby. I’m looking forward to returning to Sabino Canyon some evening in the future.